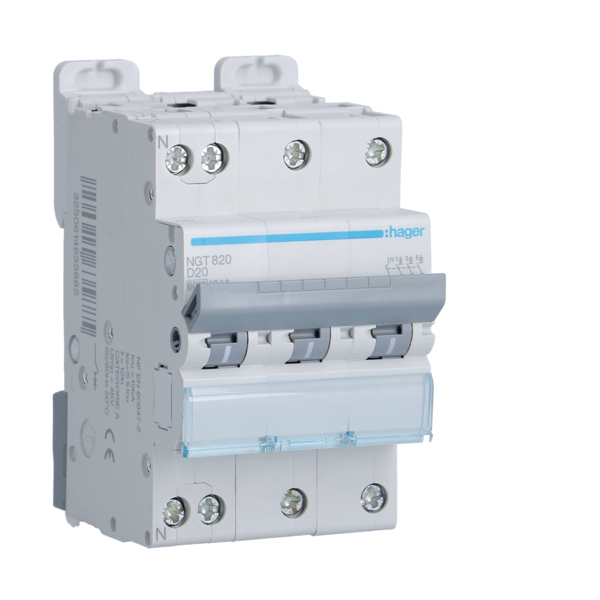 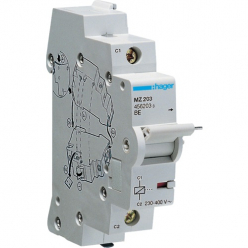 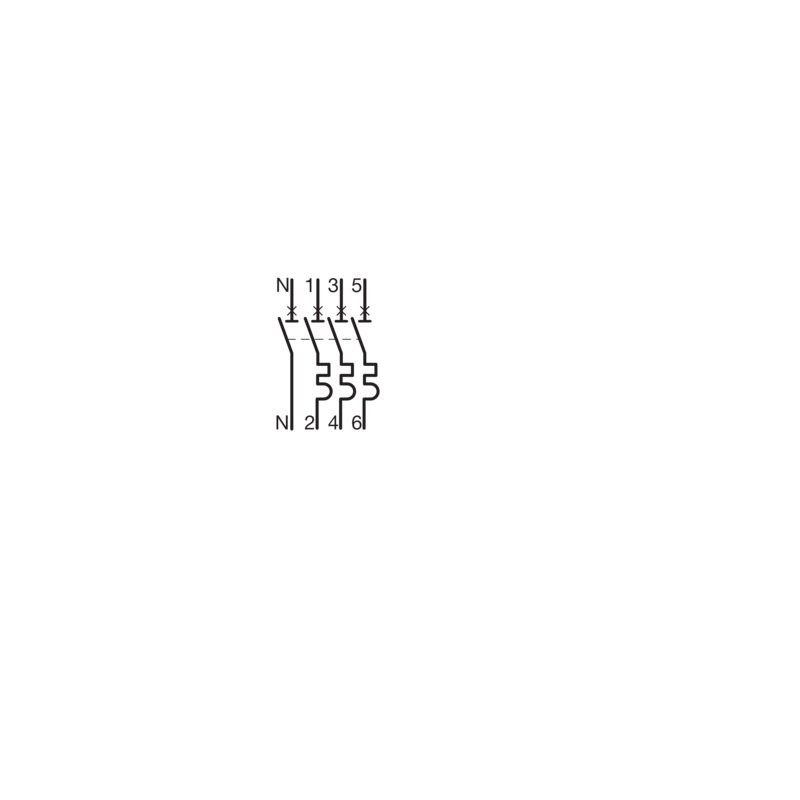 Thermal magnetic circuit breaker HAGER NGT820 - 3P+N - 20A - D curve is essential for any facility charging station. 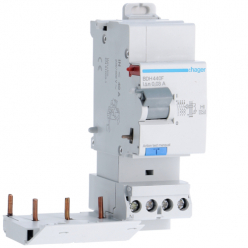 He was selected by a team of skilled electricians and will protect the system against overvoltage and short circuit . 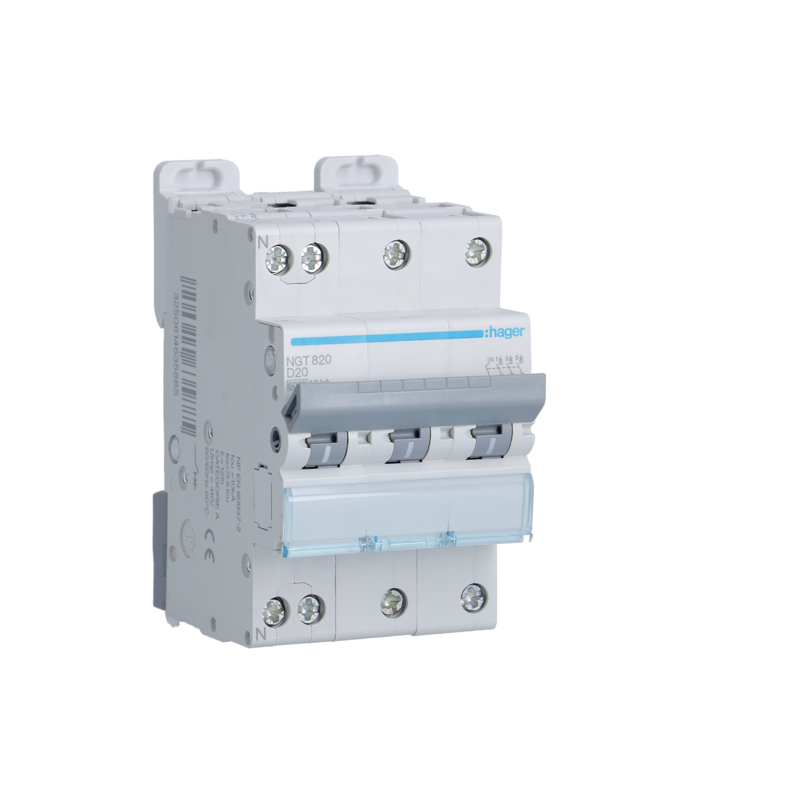 This circuit breaker appropriate for charging station set to 16 A.